I love the bottom two photos... you can just hear Button thinking in the left one: 'He is slipping again, how long do I have to sit here Mum?"! And the the bottom right I love how they're both looking in the completely opposite direction (not that 'lil M has much choice *grin*)! Such typical 'children photos'! 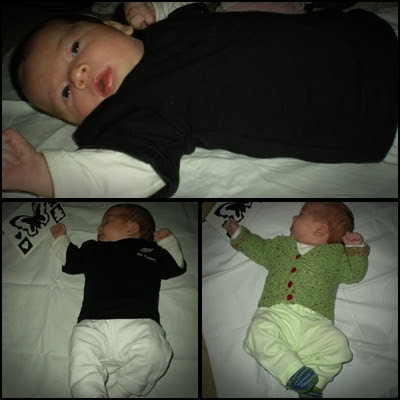 I am rather disappointed in these, I had thought I had taken a whole heap of her at six weeks old - so I took oodles of 'lil M at six weeks, in order to do a comparison; but in the end the photos aren't really good enough of Button to really do it justice (hence why I have left them in their own little collages). One day I'll be back with something more substantial; but for now I have to go and rescue my son who has just filled his nappy so completely I heard it through the monitor; gross ;-)! 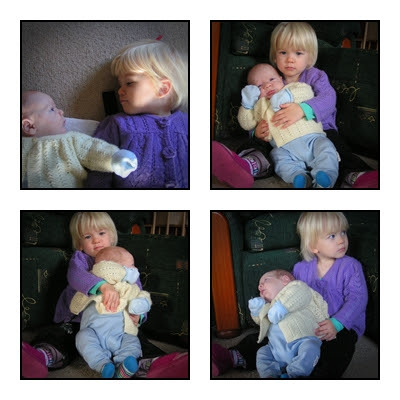 Too cute - love the photos of Button and 'Lil M together. 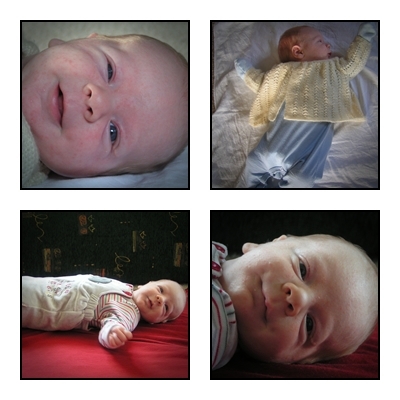 Still laughing over the sound effects :-) ........ and enjoying the photos - Lil'M has such a cute grin!! Swooooooooon! He is gorgeous indeed (as is Button)!